Here is our second recipe for the month! 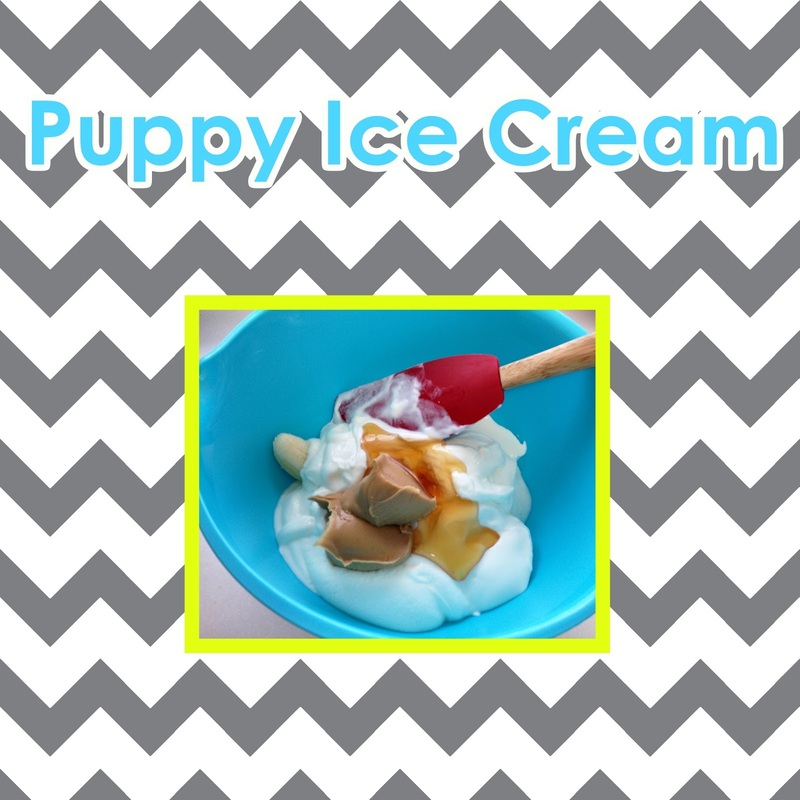 Here is our version of Puppy Ice Cream or as many of yall know it as the brand Frosty Paws. This recipe is all natural, fresh and without wheat, preservatives or dyes. First, put all your ingredients into a bowl, mix them by had or with a blender. 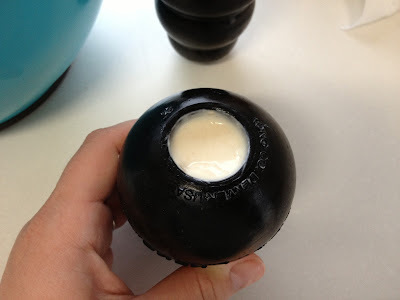 Once your mixture is nice and smooth you can then pour it into what ever mold you have for your ice cream. I used a few Kongs as well as a bone shaped mold. You can also use a muffin pan, ice cube tray or other mold you have around the house. 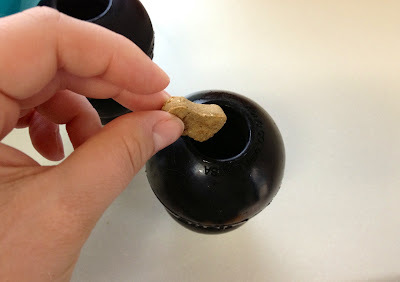 Tips for filling the Kong. Use a dog treat or piece of dog food to stop up the small hole at the end of the Kong. 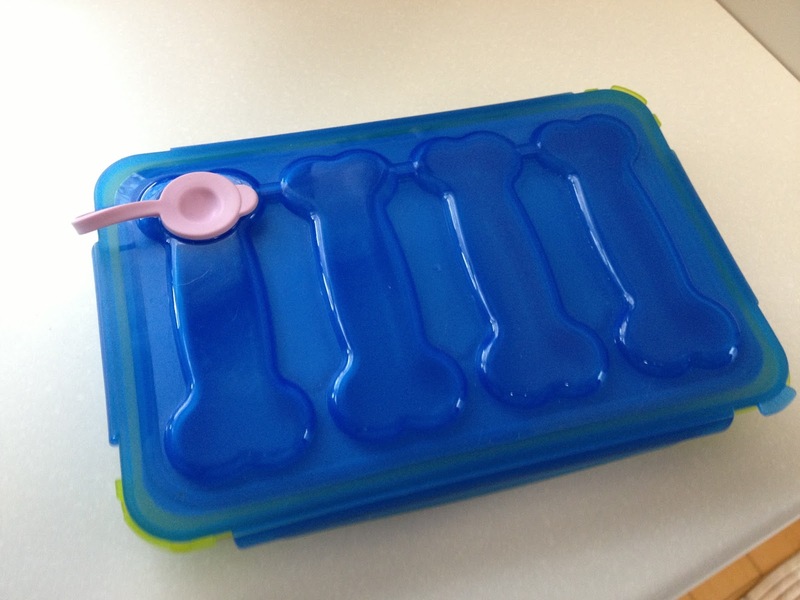 This will keep all the ice cream from running out before it has a chance to freeze. Lastly, pop it in the freezer until frozen. Have fun yall! 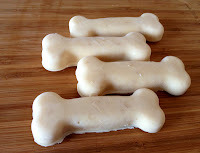 I hope your pups enjoy these! Keep an eye out for out next recipe of the month!